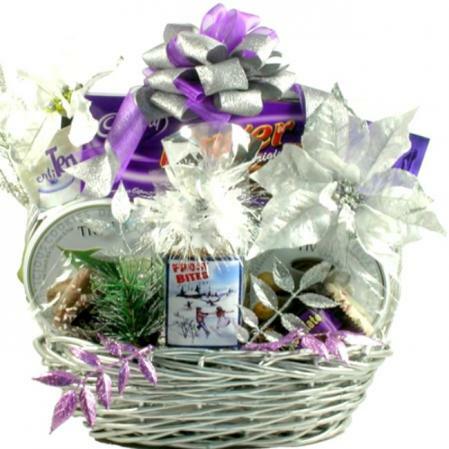 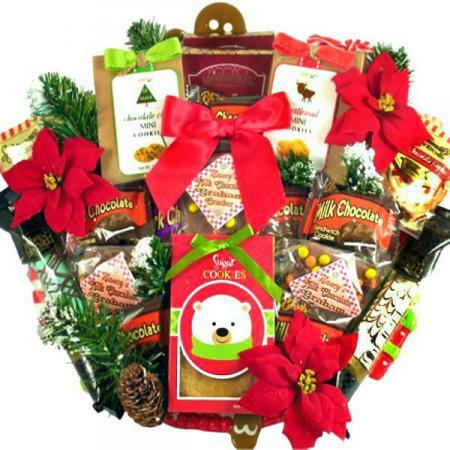 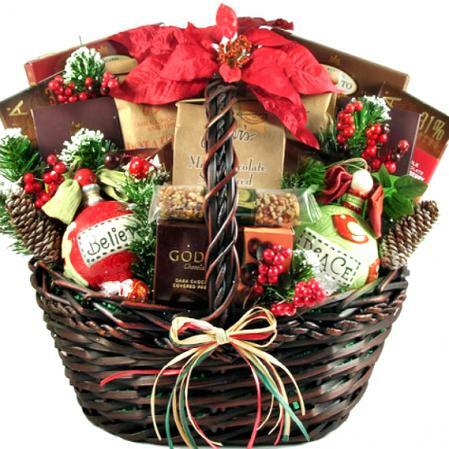 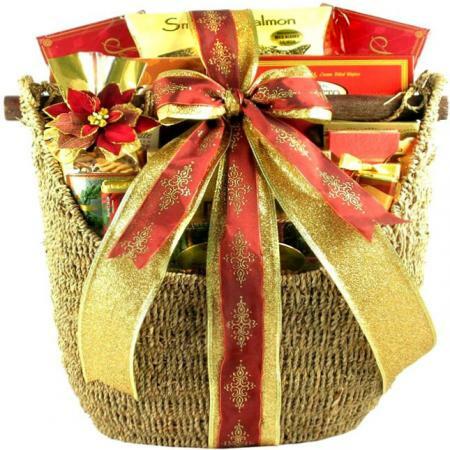 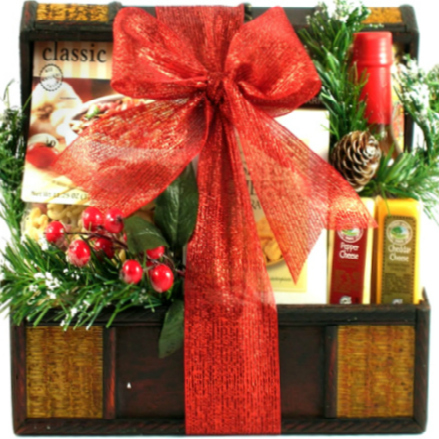 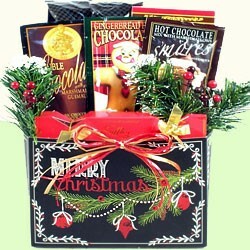 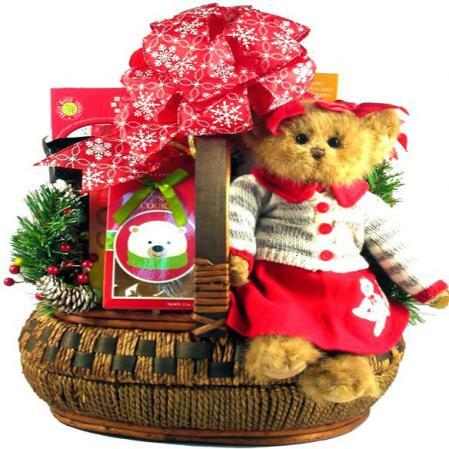 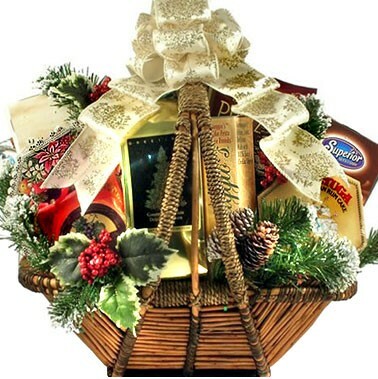 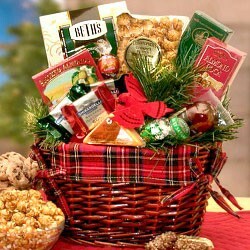 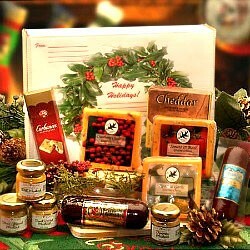 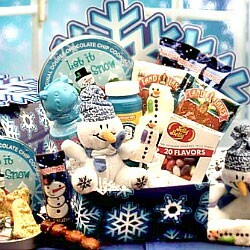 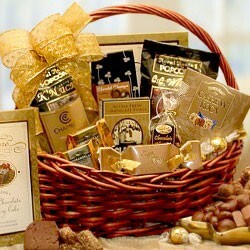 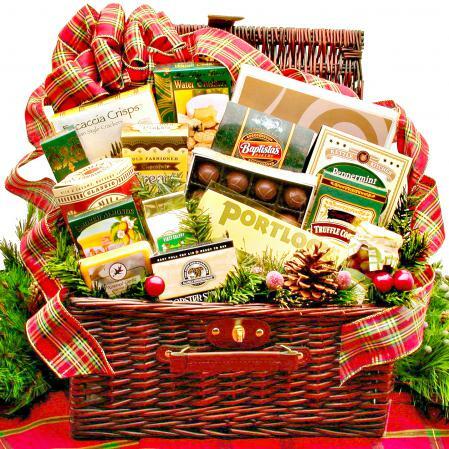 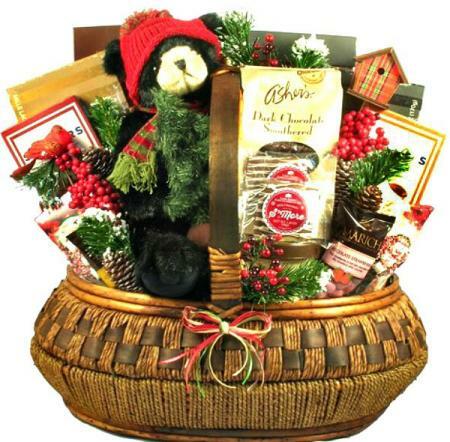 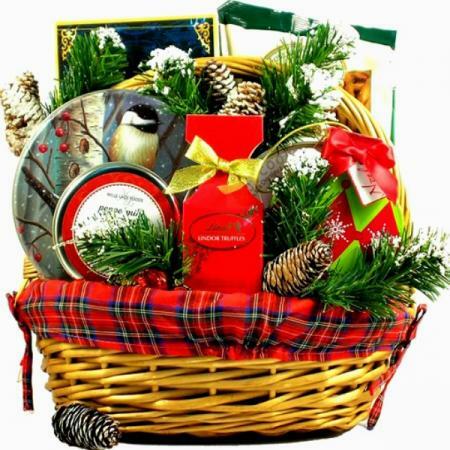 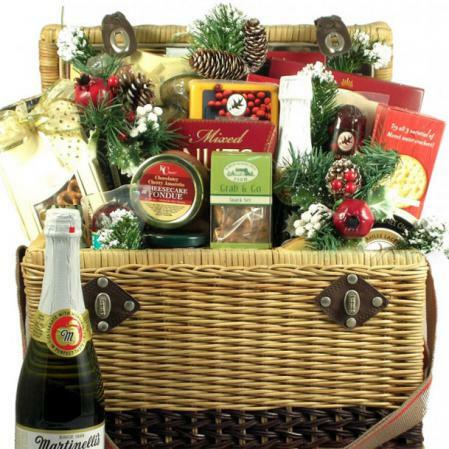 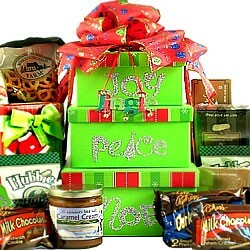 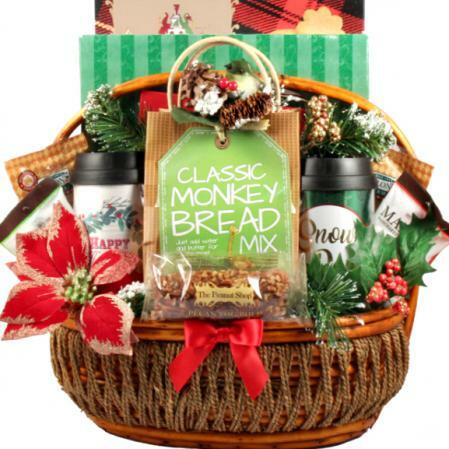 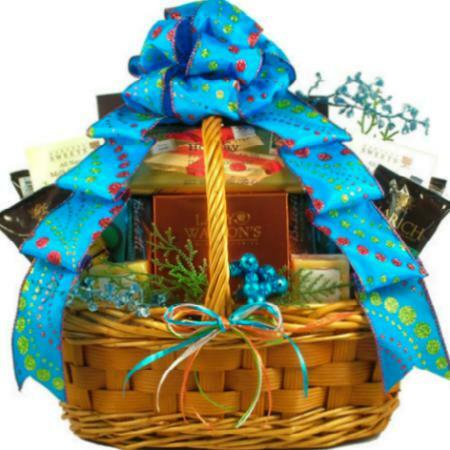 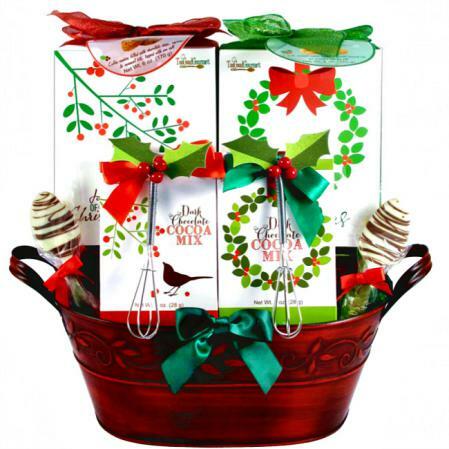 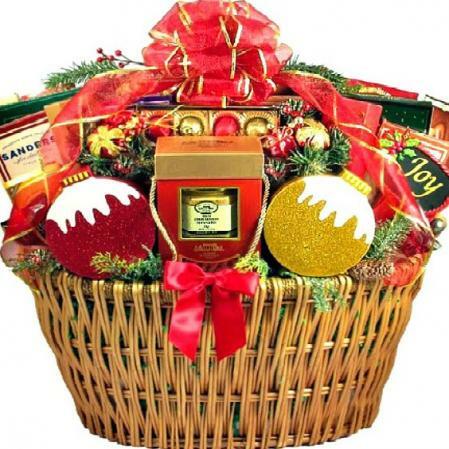 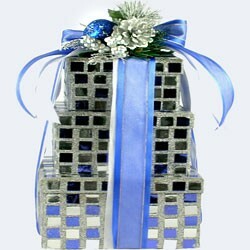 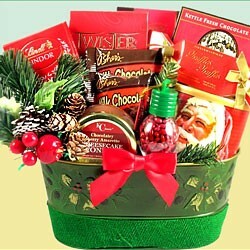 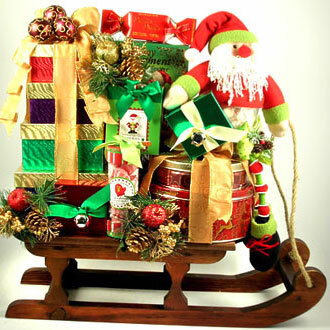 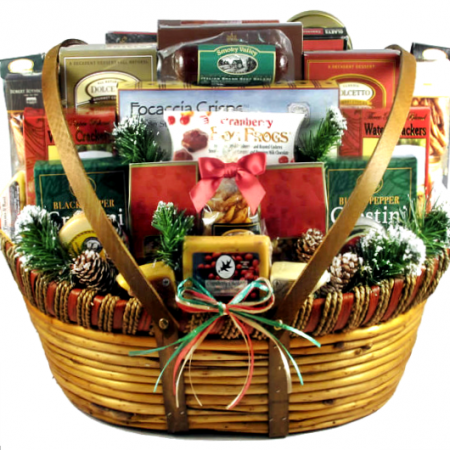 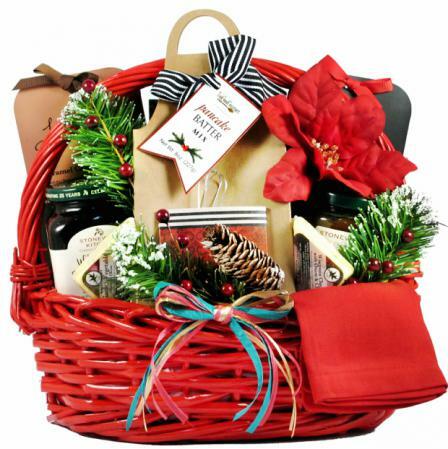 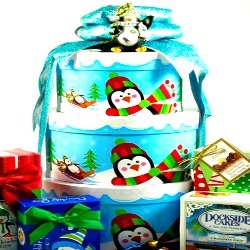 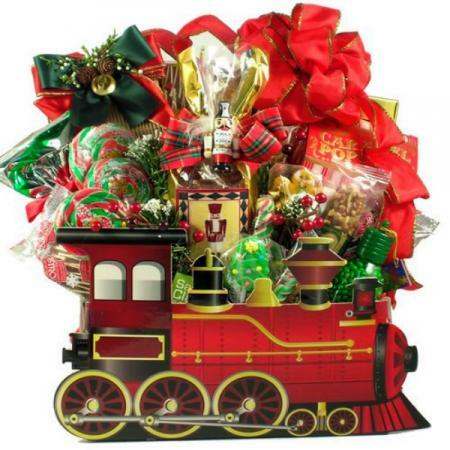 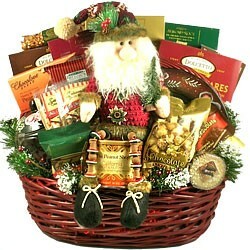 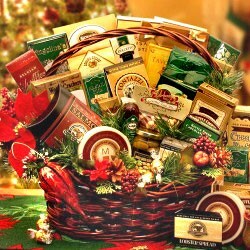 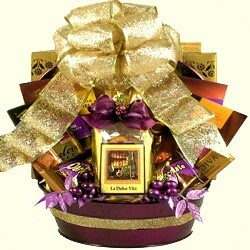 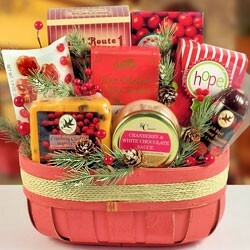 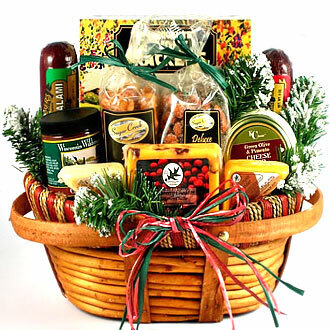 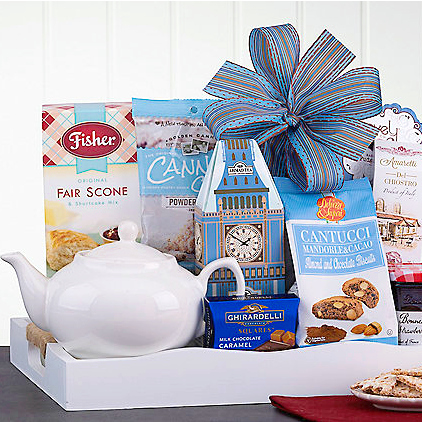 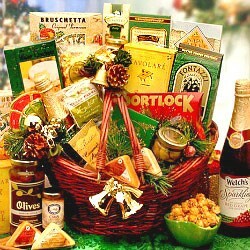 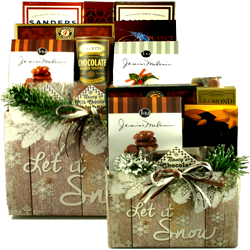 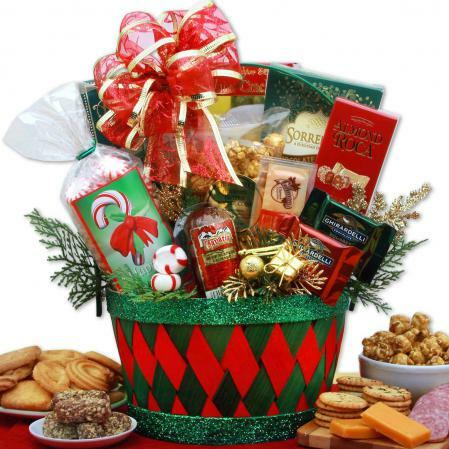 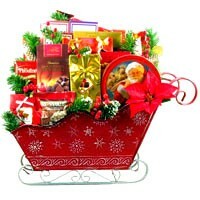 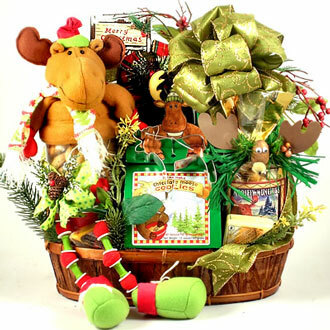 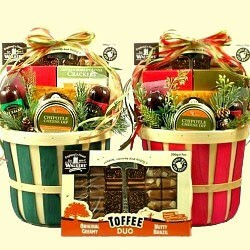 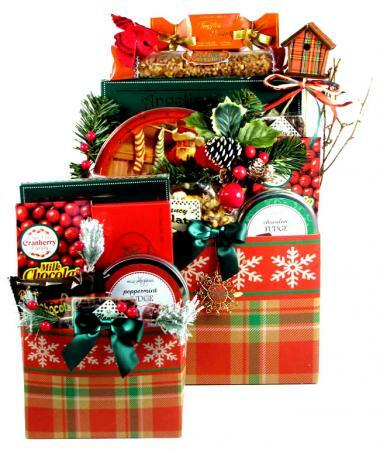 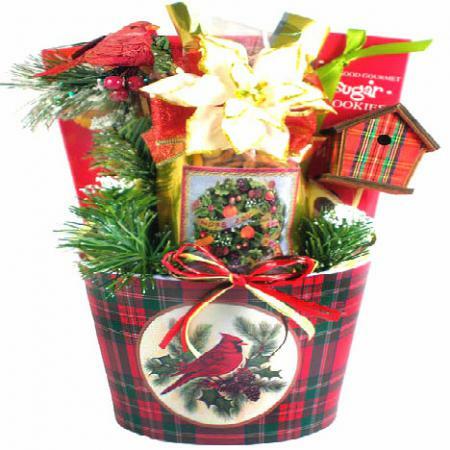 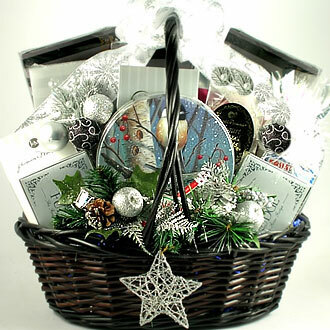 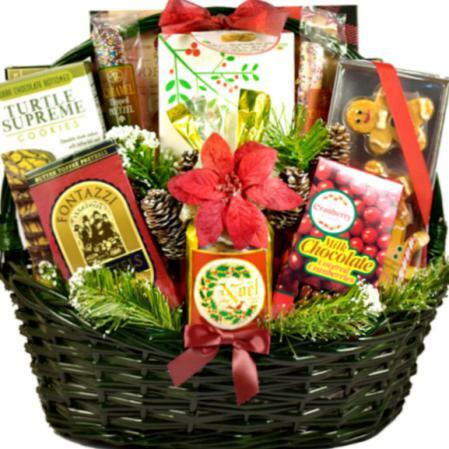 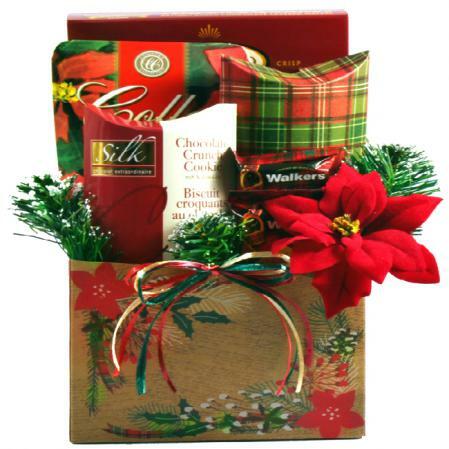 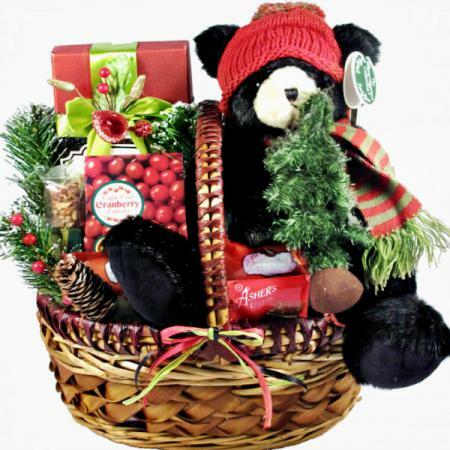 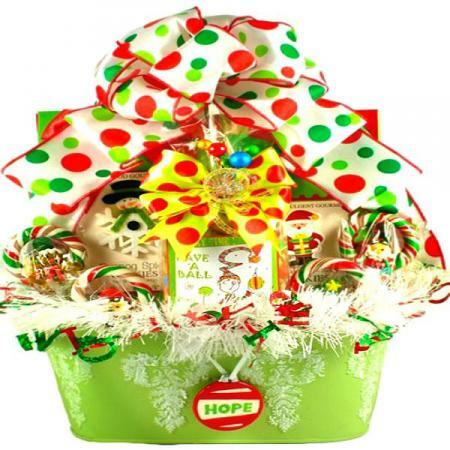 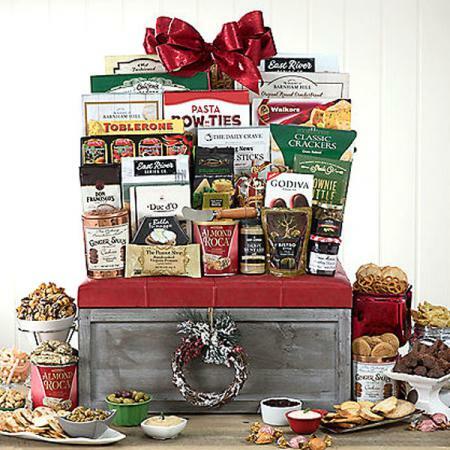 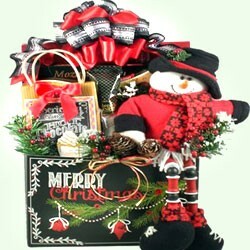 When you can't be there in person, send this holiday gourmet gift basket decorated with spruce and pine. 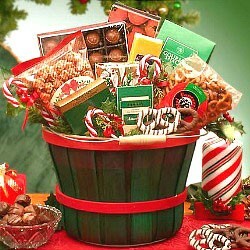 Holiday deliciousness for everyone. 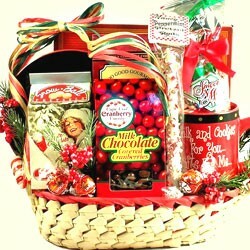 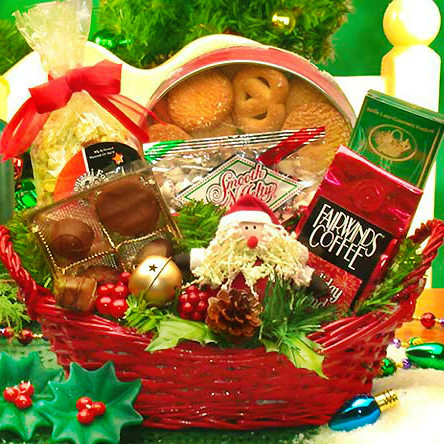 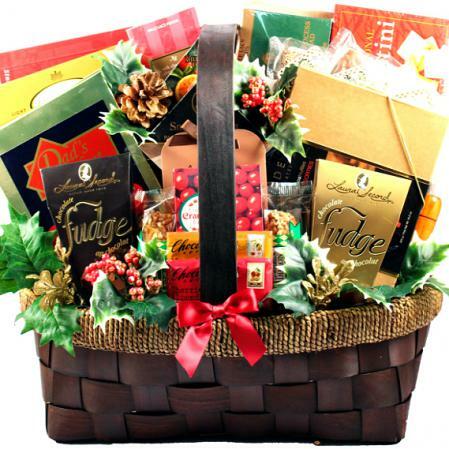 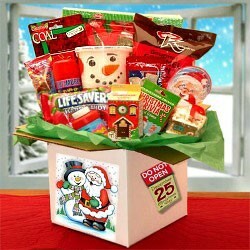 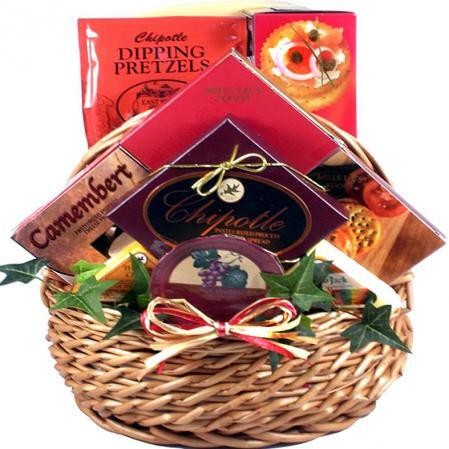 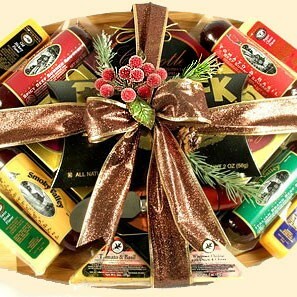 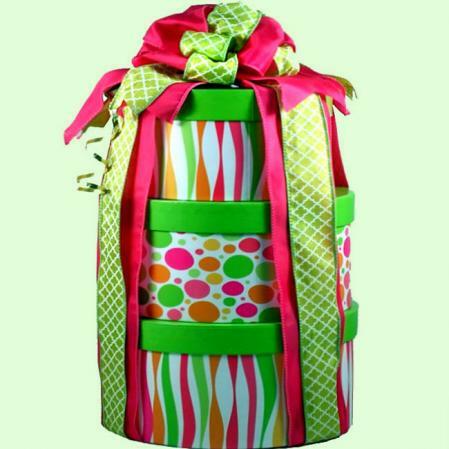 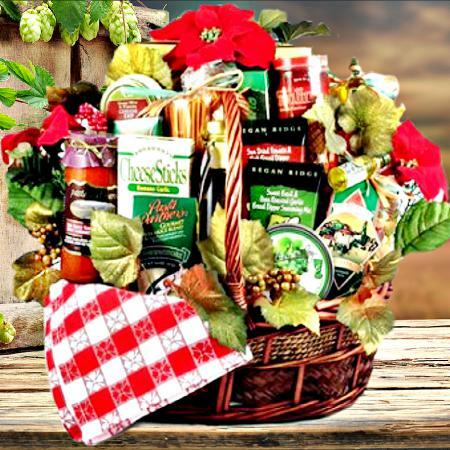 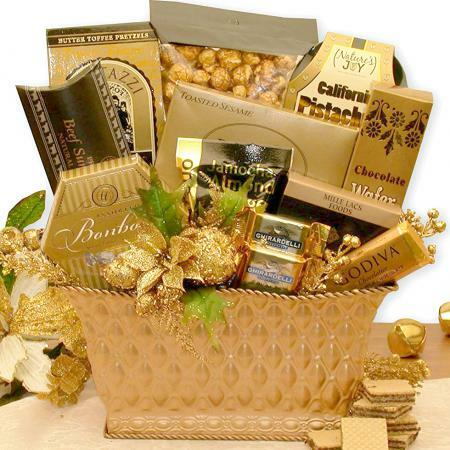 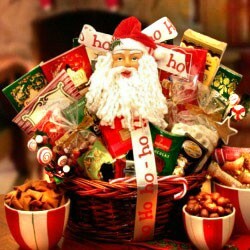 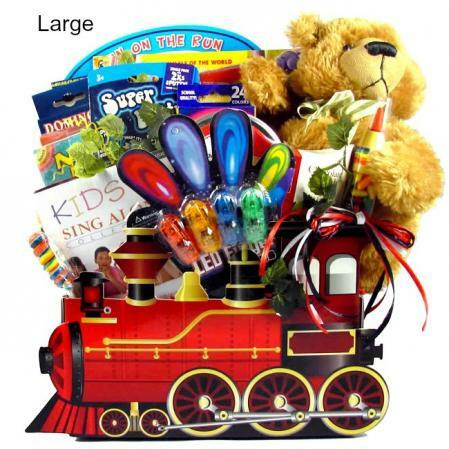 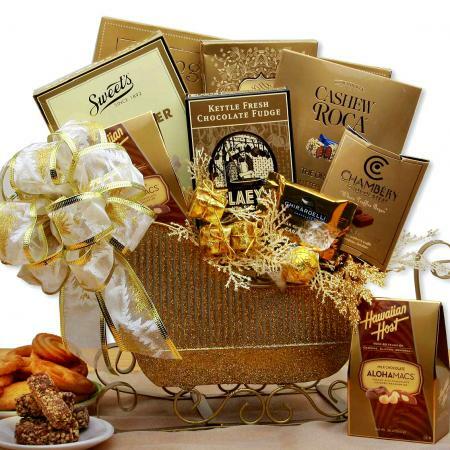 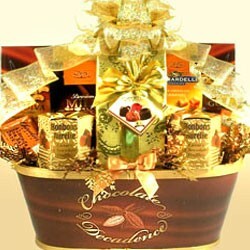 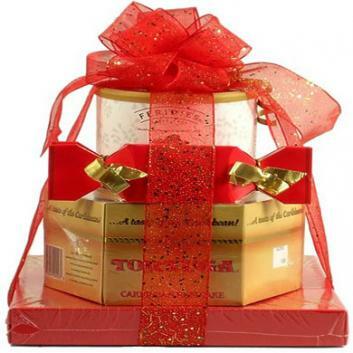 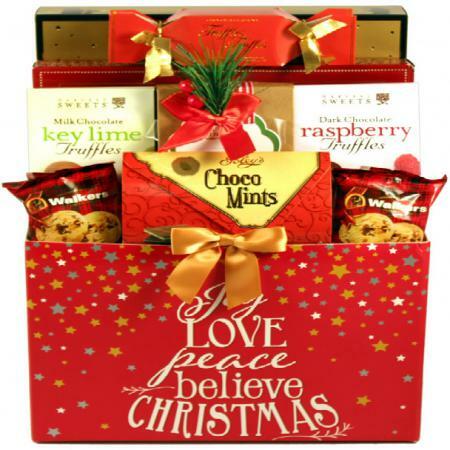 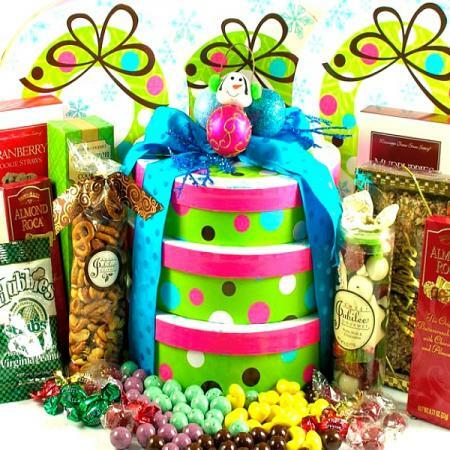 Wish clients, family members, friends or co-workers a wonderful holiday with this gourmet food basket of savory and sweet food sensations.